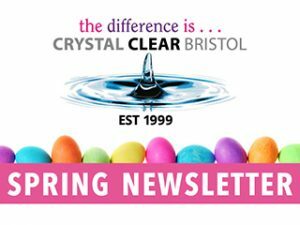 Crystal Clear have been established in Bristol, serving the city (as well as Bath, Portishead, Clevedon, Thornbury and beyond) since 1999 and are one of the leading experts in the fit and supply of double glazing windows, doors of all types (pvc, composite and aluminium) and bi fold doors. We like to talk to our clients and find out exactly what your requirements are. 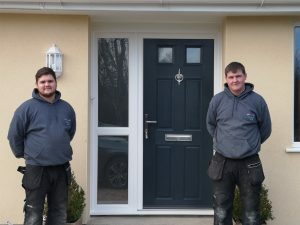 We know from experience that everyone is different and that our personal approach means that we deliver time after time the right quality pvc doors, windows and conservatories at the right price. At Crystal Clear we offer an extensive range of double and secondary glazed windows to homeowners in Bristol, Bath, Somerset and Gloucestershire. At Crystal Clear we supply and fit a wide range of residential doors to homeowners in Bristol, Bath, Somerset, and Gloucestershire. At Crystal Clear we can offer to install any conservatory design to suit any home across the Bristol and Bath region. At Crystal Clear we offer an extensive range of rooflights in different sizes and styles to suit every home for homeowners in Bristol, Bath, Somerset and Gloucestershire. Welcome to Crystal Clear, Bristol’s leading double glazing supplier! Our company has been established in Bristol serving the city, Somerset and Gloucestershire since 1999. We have since become one of Bristol’s leading experts in the installation of double glazing including aluminium and pvc windows, exterior doors, conservatories and flat roof extensions. We are a family business with over 100 years of combined experience in the home improvement industry. Our employees place great importance on attention to detail and delivering the very highest standards of service. We can help you whether it’s for a single front door or a stunning conservatory. So if you are looking for a clear, honest approach to new windows or doors then contact us on 0117 911 0272. For additional customer peace of mind we are proud to be founding members of DCGOS – the double glazing industry ombudsman. All of our work comes with a 10-year guarantee and is fitted by one of our experienced installation teams. We pride ourselves on making a difference to your home, whatever the size of the project and budget. Visit us at our double glazing showroom in Brislington (we’re close to Bristol’s ring road) where we can discuss your needs in person. Or if you’re busy we can fit around around your schedule and visit you at your home, helping measure up for new windows or doors and then give you a free, competitive quote. Call us today on 0117 911 0272 to arrange a free appointment or an initial chat.